With a population of nearly four million, the Twin Cities, consisting of Minneapolis and St. Paul, is one of the most populated areas in the Midwest. 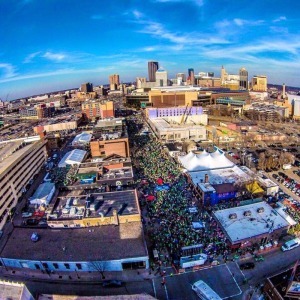 With This comes the opportunity for large outdoor events like the Art in Bloom, Soundset, 2019 NCAA Final Four, 2018 Superbowl, Mayday Parade, State Fair, Art-A-Whirl, Grand Old Day, Pride Festival, Winter Carnival, Twin Cities Marathon, Rock the Garden, X-Games, the St. Paul Art Crawl, and much more. Millions attend these events every year all season long. If your event in Minnesota is looking to take it to the next level, Fire Up Video has a solution. To learn more about how our portable jumbotron rentals can greatly improve your event, explore the rest of our website or contact us today. Fire Up Video would love to help make your event larger than life! We also serve cities in other states of the Midwest besides Minnesota, such as Wisconsin, Iowa, Illinois, Missouri, Michigan, Nebraska, North Dakota, South Dakota, Colorado, Ohio, Indiana, Tennessee, Kentucky, Kansas, and more. Contact us to learn more or to rent a mobile LED video wall at 612-759-1012 or baum3@earthlink.net.